Are you a mature but young-at-heart student, looking for both an exciting vacation and study experience in Latvia? Vacation Club 50+ is designed especially for you! The program challenges you to stay intellectually stimulated by learning the Russian language in the mornings. 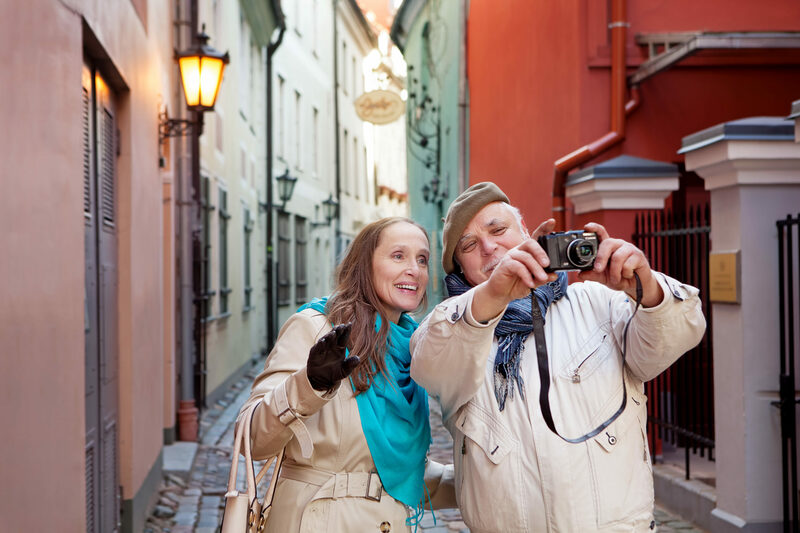 What is more – you will be socially engaged by exploring the most interesting places of Riga during excursions and museum visits in the afternoon. At the same time, we have included for your weekly full-day excursions to the most beautiful places in Latvia, for example, Sigulda – “Switzerland of Latvia” with its picturesque scenery or Jurmala – peaceful seaside resort. We will take you out to the local restaurants, so you will be able to enjoy culinary delights including Russian and Latvian local cuisine and compare a great diversity of eating traditions in Latvia. In other words, you will get an amazing cultural and linguistic experience and improve your Russian language skills. You will have Russian language lessons with other students according to your level of the Russian language. Upon request, it is possible to book Individual Standard course. Maximum 8 students per class (in summer up to 10). Ursula, GERMANY: “At the age of 75 it was a great challenge to take part in a Russian language course in Riga and now I think the course was a great success! We had a good team of teachers and school staff and learning Russian was funny indeed! In fact, I can fully recommend it!”. Patricia, UK: “The trips were well organized and I enjoyed the company of the guides who speak just in Russian. My favorite one was Sigulda, this little town not far from Riga”. 1 week: April 1*, April 8, May 13*, May 20, June 10*, June 17, August 5*, August 12 and October 14*, October 21. 2 weeks: April 1*, May 13*, June 10*, August 5* and October 14*. Participants can book either 1 or 2 weeks, the beginners should start on *beginners dates. Sigulda is one of the most beautiful cities in Latvia, often called Latvian Switzerland. It is a great place to enjoy Latvian nature and rest after a productive study week. Discover the mystical Gutmana cave, Turaida Museum Reserve with medieval castle and learn the romantic story of its former inhabitants, as well as enjoy the calm beauty of the city. Rundale Palace – the greatest Baroque and Rococo art style monument in Latvia! Its sophisticated beauty will delight even the most experienced spectator! After the guided tour at the Rundale, continue exploring and see the medieval Bauska castle. Catch the spirits of two eras!